The Western Australian Department of Transport has today released the Summary Report from the Perth Active Transport Leaders’ Forum. 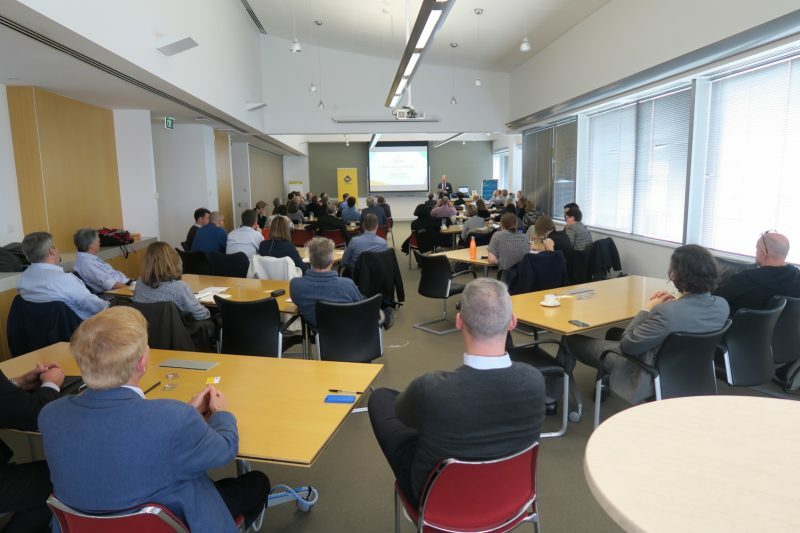 Led by We Ride Australia and hosted by the Department of Transport and RAC in July, the Forum brought together 70 invited leaders from transport, planning, WA politics, education and the automobile sector from Australia and New Zealand. 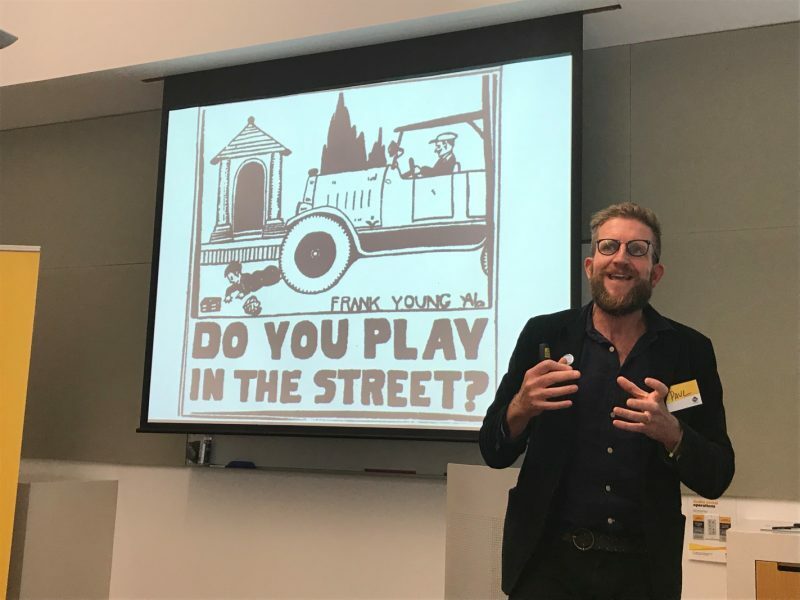 The forum challenged the group to think and operate differently as the practitioners and leaders explored real life solutions and barriers to walking and cycling. 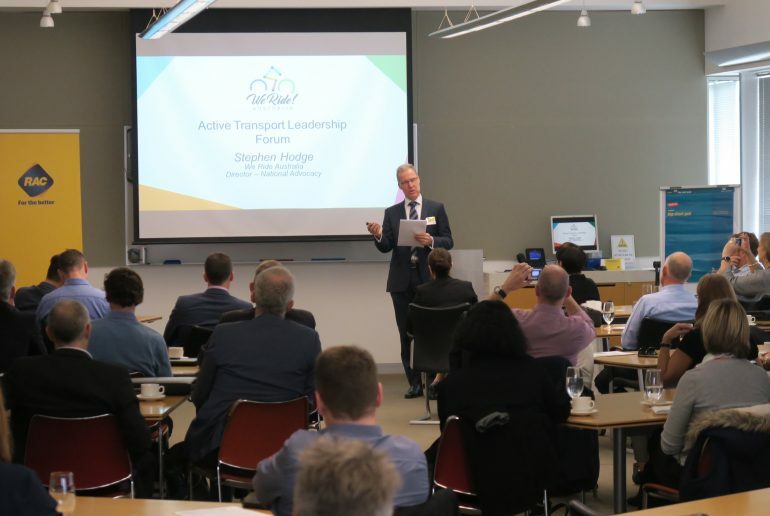 We Ride Australia’s Key Note Speaker, Stephen Hodge, said “the Forum was the continuation of several years of close collaboration with senior WA Transport leaders. “Having such a senior group of leaders in the room is a credit to Craig Wooldridge and his team in WA’s Department of Transport along with RAC’s increased support of mobility and is a significant part of the step-change we have seen for active travel in the state over the last few years. “We Ride Australia is very pleased to have contributed to the ongoing effort to build this support for cycling with WestCycle and others in WA. “We commend the Government for their investment and commitment to make walking and cycling easier, safer and more attractive in WA,” Hodge said. Discussions in the forum centred around practical solutions that each leader could take back to their field of influence for active travel to school, redevelopment of existing streets and greenfield developments. The forum positioned We Ride Australia as a critical thought leader, with our contribution including program development, one of two key note addresses alongside New York Transportation Alternatives Director Paul Steely White and roundtable facilitation. It is another step in changing the conversation and promoting cities for people and transport systems designed to move people by active travel – walking and cycling. The report of the forum has now been posted on the Departmental website here. It provides simple actionable steps that any city or town can adopt to make the choice to walk or cycle easier in a range of scenarios. The document can also be downloaded directly here: Active Transport Leaders Forum – Summary Report.